Search Engine Optimization is one of the most energetic and ever-changing parts of e-commerce, websites and digital marketing. Aside from the challenge of staying current with technology advancements and business trends you also have to have a good solid foundation of SEO knowledge to draw upon. 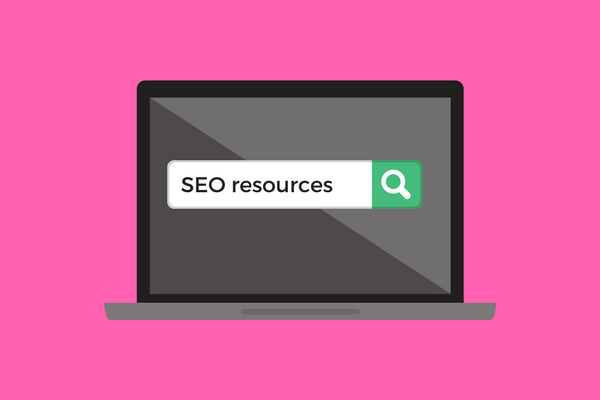 No matter if you’re just starting out in SEO, just want to learn more about it, or are a professional looking to refresh yourself on the basics the following resources are a useful starting point. Aside from offering products and services MOZ also offers useful materials for learning about SEO and related topics. Their learning section is filled with guides on important topics such as SEO, local marketing, and properly leveraging social media. Their blog is also useful for reading about current topics and news in the industry. As a leader in search engine development Google offers a lot of valuable documentation for proper SEO and best practices. Their general SEO guide offers an excellent starting point for SEO basics. They also offer information on SEO on mobile platforms and information on more advanced topics such as structured data. Hubspot is well known for their inbound marketing software and expertise in the digital marketing field. They also release a good deal of useful material on various topics including SEO. Their blog isn’t SEO exclusive but the associated material can also prove very useful in crafting good business strategy as you devise an SEO approach for your company. Webmaster World has been around the internet since the mid-1990s and is excellent for getting ‘on the ground’ feedback from webmasters and industry professionals. While forum membership is not free the first-hand real world accounts are highly valuable in refining how ideas, information, and concepts perform when they’re moved from the idea phase and put into practice. Search engines have a healthy amount of patent laws concerning their use, design, configuration, code, and various other concepts. Patent laws are not only important for legal matters, they can also be read to see what new ideas are being developed. SEO by the Sea collects all relevant patent news and reports on it in an easy to read format. Every topic needs an effective news site covering it. Search Engine Land reports on current events, industry news, product reviews, and general advice. It’s a useful tool for staying aware of current occurrences in the industry. Marketing Land is a similar but also useful news site that focuses more on online marketing but also reports on the important news stories of the day. Search Engine Roundtable is a news site focused entirely on the various search engines found in the market today (Google, Bing, Yahoo, etc. ), SEO, and the industry news related to these topics. This is a singular but very important document. Written by future Google founders Larry Page and Sergey Brin when they were Ph.D. candidates at the University of Stanford. This paper explains the core concepts that would later become the Google Search Engine. While Google has certainly grown well beyond its origins the core concepts this paper addresses are central to how modern search engines function. The SEO field is one where it’s very easy to become outdated due to not being aware of industry changes. To stay current in the marketplace requires you pay careful attention to ongoing events and future technological developments. However, never underestimate the value of SEO fundamentals. While the methods and algorithms may change fundamental industry concepts tend to remain. The above links not only provide you with news about current events they also help you build a solid foundation of knowledge about the SEO field.